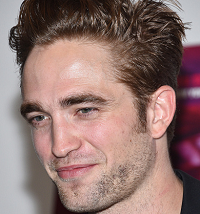 French director Claire Denis’ English-language feature debut, High Life, is set to shoot in Cologne in April. The film stars Robert Pattinson and Mia Goth, and centres on a group of criminals who run into trouble in space having accepted a mission to be the guinea pigs in a human reproduction experiment. High Life marks another first, as novelist Zadie Smith (White Teeth, On Beauty) makes her screenwriting debut, working alongside her writer husband Nick Laird and Denis. The producers are Laurence Clerc, Oliver Dungey, Christoph Friedel, Claudis Steffen and Olivier Théry-Lapiney. Cologne’s profile as a filming destination was raised recently as the Emma Thompson/Daniel Brühl starrer Alone in Berlin using the city as one of its German locations, and Jim Jarmusch’s 2013 Only Lovers Left Alive utilised one of the city’s major filming facilities, Studio MMC Cologne.